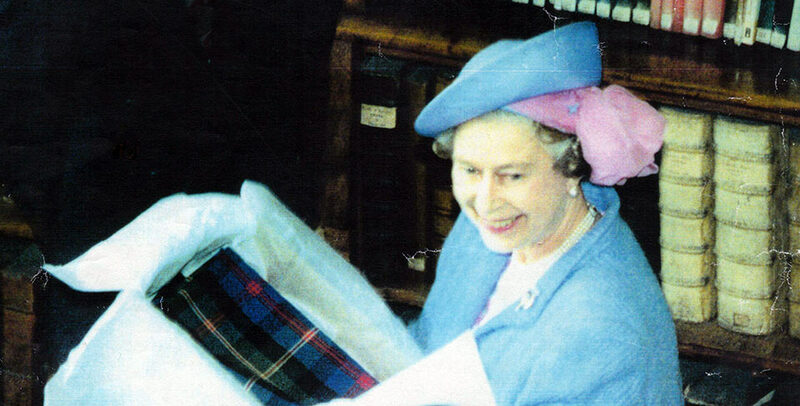 The British Royal Family has a long tradition of wearing tartan, especially (but not only) when in Scotland. Their plaid choices often tell interesting stories. But few have a richer history than a pair of trews worn by Prince Edward, made in DC Dalgliesh fabric gifted to Queen Elizabeth II. Our story starts in the year 1745. 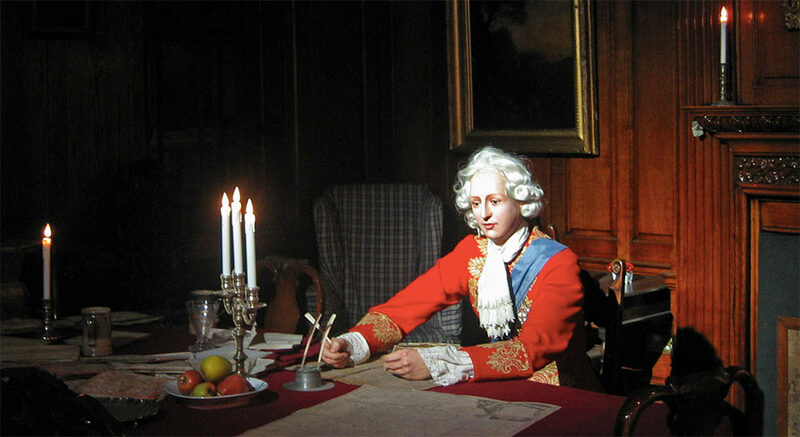 The legendary Scottish hero Prince Charles Edward Stuart (‘Bonnie Prince Charlie’) landed in Scotland to plot a revolutionary war for the (Catholic) Jacobites against the (Protestant) Hanoverian throne. 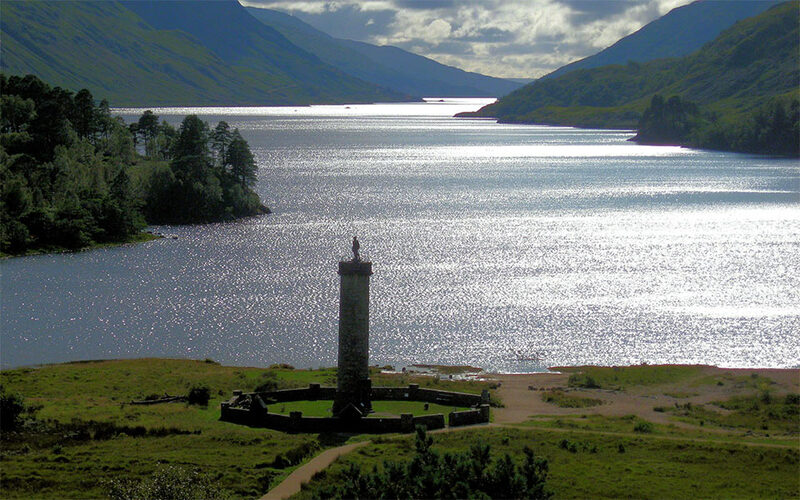 He raised his standard at Glenfinnan, rallying troops from many clans to fight for his cause. A prominent monument marks the spot to this day. 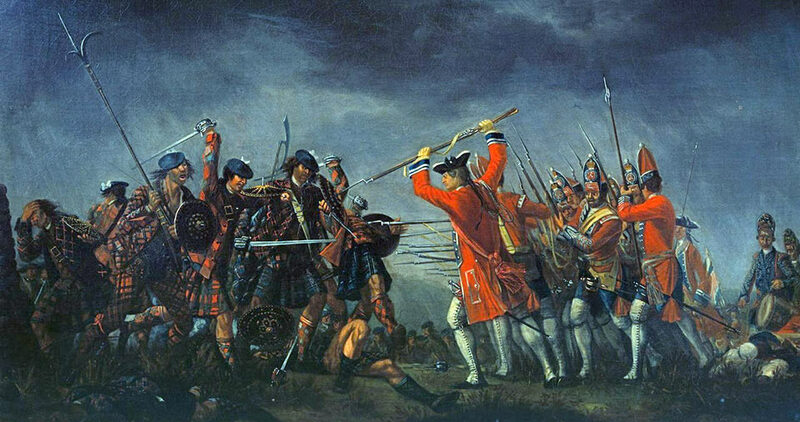 After his forces were defeated in a famous final battle at Culloden in 1746, the Jacobite claim to the British throne was over. Prince Charlie fled. On the run for five months, with the help of French forces he finally reached the safety of Clanranald territories on the West Coast. Angus MacDonald of Clanranald and his wife Catriona gave the fugitive shelter, at Borrodale House. After a few days, he sailed for the Outer Hebrides with a few companions in a borrowed eight-oared boat, on a perilous journey from island to island that included his famous escape disguised as a servant maid, through storms ‘over the sea to Skye’. As he left Borrodale, Catriona gave him one of her own tartan plaids for warmth, which he left behind on the isle of Scalpay after a change into dry clothes. This was “Lady Borrodale’s Gift”. His hosts kept the tartan, and it was cut up into pieces that were shared as mementoes of the Jacobite cause. Two fragments survive in museums. Bonnie Prince Charlie eventually escaped to exile in France. On his death in 1788, he was first buried in Frascati Cathedral in Italy. 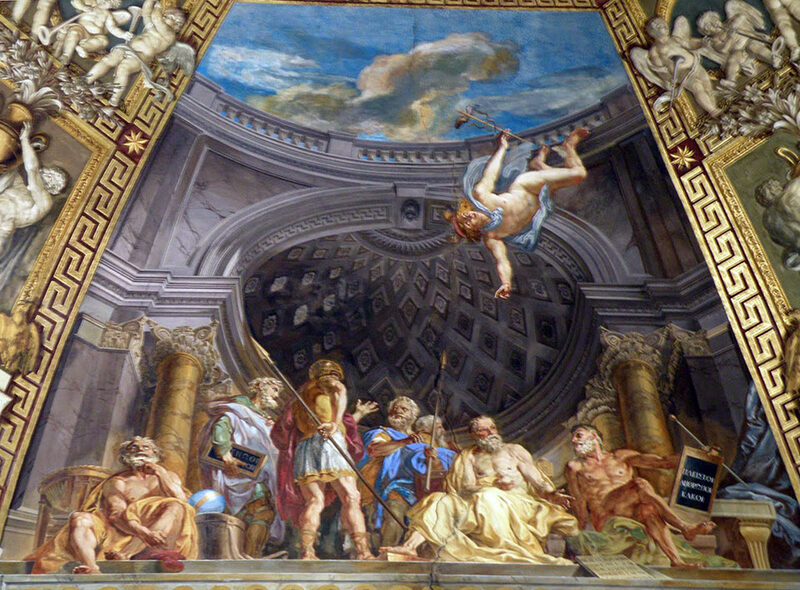 Later his remains were moved the crypt of Saint Peter's Basilica in the Vatican (above) except for his heart, which remains in Frascati. The original tartan was reconstructed through historical research, and woven by DC Dalgiesh. One piece was put on display at the Royal Museum of Scotland. And another piece was gifted to Her Majesty Queen Elizabeth II in 1991. 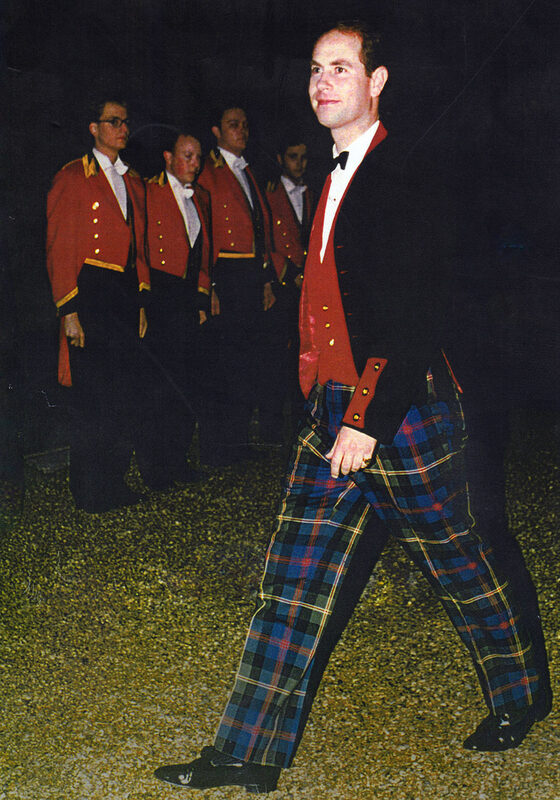 That fabric length was put to good use, made into traditional Trews (military style trousers) for wear by Prince Edward. The authentic Borrodale Historic tartan is woven by DC Dalgliesh in several fabrics.